Welcome to Online Batteries. 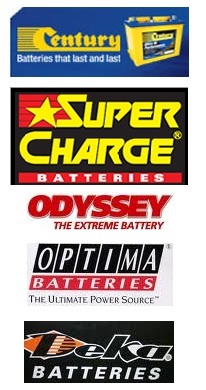 Online Batteries is an Australian owned and operated battery store that specialises in all your battery needs at unbeatable prices. Powered with EXG Technology, the Supercharge MFM70 SeaMaster Gold boasts of superior cranking & reserve capacity and the fully sealed maintenance-free convenience. The SeaMaster Gold gives boating enthusiasts the power to meet the demands of their marine applications and the heavy pounding of the rough seas. The SeaMaster Gold is offerred at market leading warranty coverage - as much as 24 Months Warranty*!